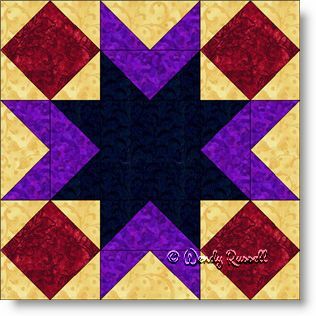 The Rolling Rock quilt block gives the quilter a little break from blocks that contain primarily half square triangle patches. To be clear, half square triangles are present in this block but are used to make one of my favourite patches - flying geese units. You also get to practice your skills on the square in the square patches in each corner of this nine patch block. The sample quilts illustrated are both created using on point settings, but don't they look very different? Your own imagination might come up with a striking quilt all your own. Let's begin!